Bentayga Blackline specification is included as standard, with imposing features such as a body-coloured lower front bumper apron and twin gloss black tailpipes, to showcase the V8’s distinctive burble. Discreet Design Series badging on the lower front doors identifies this Bentayga’s unique edition credentials. 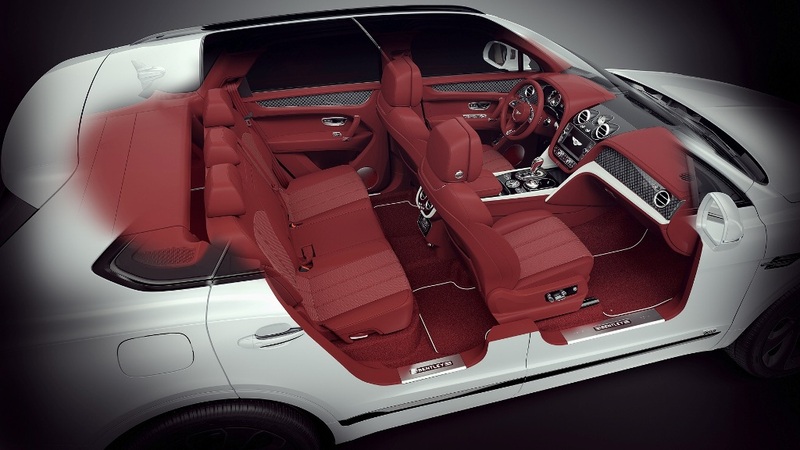 The Bentayga Design Series adds an all-new interior design finish to the world’s most desirable automotive cabin. The Duotone interior palette offers six colourful and inspiring themes – Pillar Box Red, Orange, Mulliner White and Klein Blue – around a Beluga main hide. As well as specific Middle East version that offers two additional colours – Mulliner White around a Hotspur main hide and Linen around a New Market Tan main hide. A new contrast design line is introduced to the Bentayga range for the first time on the Design Series. It features a vivid, high contrast colour in the front of the cabin, focussed around the console and dashboard lower accent areas. Uniquely, the Design Series is presented with Duotone seat centre perforations both front and rear. The all-new carbon fibre weave applied to the dashboard and doors has been created especially for the Bentayga Design Series. It features an intricate diamond quilted pattern with a lavish gloss finish. A Piano Black finish has been adopted on the console and centre fascia, complementing the tonal interior and distinctive design theme. Minimalist Duotone embroidery mirrors the exterior Design Series badge and is adopted on seatbacks throughout the cabin. Deep pile floor mats with contrast binding add the finishing touch. Central to the dashboard is an elegant diamond jewelled Breitling clock, with light mother of pearl face. 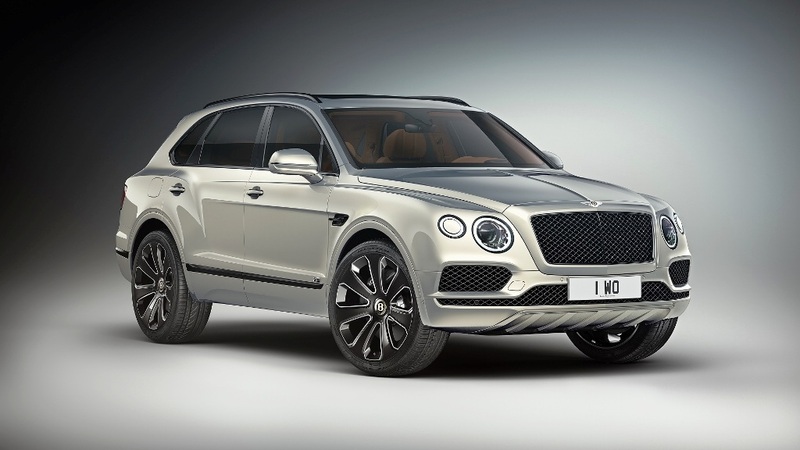 The Bentayga V8 Design Series fuses exquisite luxury with power, usability and great sporting ability. With its new-generation 4.0-litre petrol engine, its responsive performance is fully customisable on demand by the driver through Bentley’s Drive Dynamics system, from limousine-like refinement to sporting precision. As with all Bentaygas, the all-wheel-drive Design Series is equipped with Electronic Differential Lock and four Dynamic Drive modes that help take luxury to new places. Sport mode provides a more dynamic drive, while a greater exhaust character, as well as a firmer suspension tune, further increase driver engagement.